Doubts over the Nabucco gas pipeline’s future are growing, after Germany warned it may follow in Hungary's footsteps and walk out of the project. 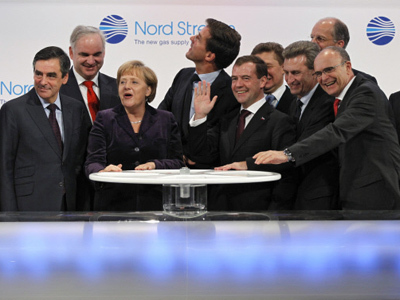 This will considerably brighten the prospects of its rivals South Stream and Nord Stream, experts say. Europe's second largest energy company, Germany's RWE said earlier it was reconsidering the strategic requirements regarding its participation in Nabucco. This followed German media reports voicing concern that the country might quit the European project altogether. Russian experts weren’t surprised by the news, with Sergei Pravosudov, director of the National Energy Institute, saying to the Nezavisimaya Gazeta daily a German walkout from the project is bound to happen sooner or later. Budapest was the first to deal a powerful punch to the project. Back on April 23, Hungary's Prime Minister Viktor Orban said the country's largest oil and gas company MOL was leaving Nabucco.The decision came on the back of Nabucco’s financial constraints, Orban explained. 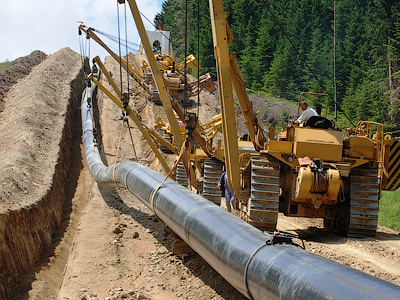 The Nabucco pipeline project would deliver Caspian gas to the European Union, bypassing Russian territory. According to the original plan, the pipeline was to cross Azerbaijan, Georgia, Turkey, Bulgaria, Hungary and Romania to end in Austria. 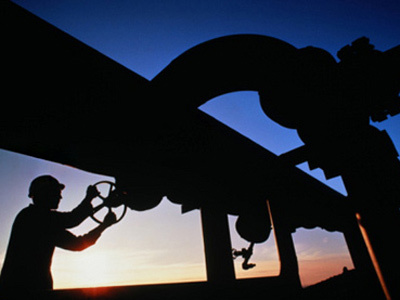 In that form, Nabucco might offer strong competition to South Stream. The beginning of its construction was scheduled for 2013. But several months ago it became clear that its throughput will have to be cut by half, as there were no guarantees there would be enough gas. "There is no gas from Azerbaijan. As for Turkmen gas, its supplies will be very problematic as long as the status of the Caspian Sea remains unsettled," added Pravosudov. Nabucco was expected to ease the dependence of European consumers on old-time providers, in the first place, Russia. The other shareholders of Nabucco are Austria's OMV, Hungary's MOL, Turkey's Botas, Bulgaria's BEH and Romania's Transgaz. Each stakeholder owns approximately 16.67% of shares, with RWE's stake the largest. "The lack of clarity as to who would be filling the pipeline with gas and how, was Nabucco's innate problem," Sergey Pikin, director of the Energy Development Fund told Rossiiskaya Gazeta. There had been talks over supplies with the Asian republics of the former Soviet Union, but no contracts have been signed. Soaring costs were another argument on the debit side for investors. While officials have mentioned 9.7 billion euros, the real costs are estimated at 15 billion. One of the most likely scenarios for Nabucco is that the pipeline will be laid after all, but the throughput will be cut proportionately to the demands and capabilities of the remaining participants in the project, says BKS Express analyst Bogdan Zykov. 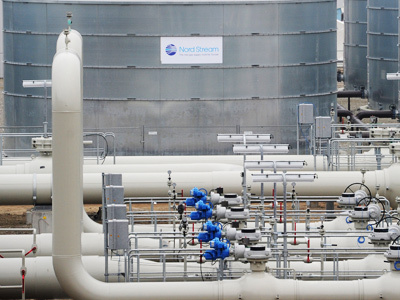 Should the project be dropped altogether, Russia will gain a number of reasonable advantages, in the first place, the possibility of advancing its own projects – South Stream and Nord Stream – more effectively and to better influence prices on the market, the analyst said. "Generally speaking, Nabucco is not so much an economic project as a political one. 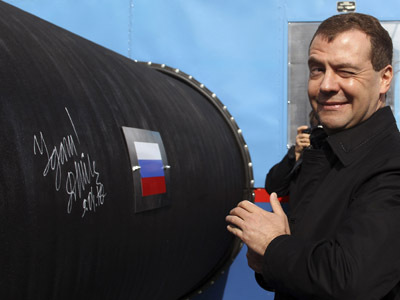 The European Commission had hoped to use it to ease the influence of Russia as the main source of fuel for Europe. But the euro area is in crisis, and the companies there are reluctant to take unreasonable risks by investing into long-term projects. So the chances it may be implemented are slim," Pikin said. Russia, said Pikin, will stand to gain from this. The companies that are leaving Nabucco may well join the more realistic and more promising South Stream project. Vladimir Putin recently issued an instruction to speed up work on South Stream, starting construction work on the Black Sea bed as early as December 2012. 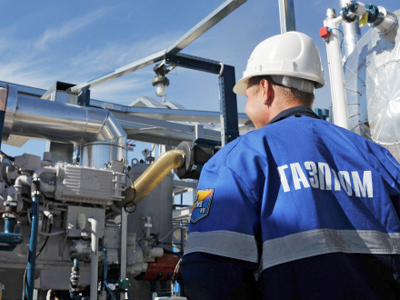 Commercial gas supplies are to begin in 2015. Alongside this, South Stream shareholders made a decision to first lay the northern branch of the surface part of the gas pipeline to Austria, and then the southern arm, to the south of Italy. Also, Nord Stream shareholders said they would consider the possibility of increasing natural gas traffic to Europe under the Baltic Sea. Over the next eight months, the company's experts will be looking into the possibility of laying one or two extra pipes. In that case, the aggregate export of gas through this pipeline might be built up to 110 billion cubic meters of gas a year, Gazprom CEO Alexei Miller said.